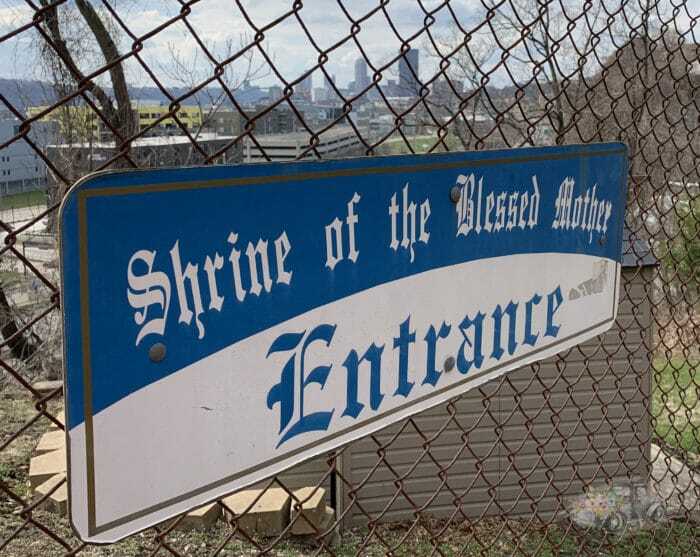 This is the sign you will see as you enter the Shrine of the Blessed Mother garden. If you’ve ever traveled Pittsburgh’s Parkway East I can almost guarantee you’ve seen it at one point or another. Perched on the hillside just above the Bates Street Exit in Oakland is a curious sight. If you are like me, you’ve probably wondered what it was. Or maybe, if you have a keen eye you were able to make out that it was some sort of religious shrine. It turns out this is the Shrine of the Blessed Mother, also known as Our Lady of the Parkway shrine. While the shrine is very visible from the Parkway, especially when the leaves are off the trees, actually getting there is a bit more tricky. Access to the shrine is located off of Oakland’s Wakefield Street which is a dead-end street. There is a sign at the top of the street directing you to the shrine, which will literally take you across two front porches, down a path, and through a gate, for you to get to the garden where the shrine is located. The property owners don’t mind, however. The origins of this shrine are a little unclear. The story that most people seem to agree on is that in 1956 a woman, named Sophie Toma, and a steelworker at the old Jones & Laughlin steel mill both saw a vision of Mary on a cliff above what is now the parkway. Together they traveled to Oakland and established the location where the shrine is located today. This spring supposedly has a miraculous story behind it. 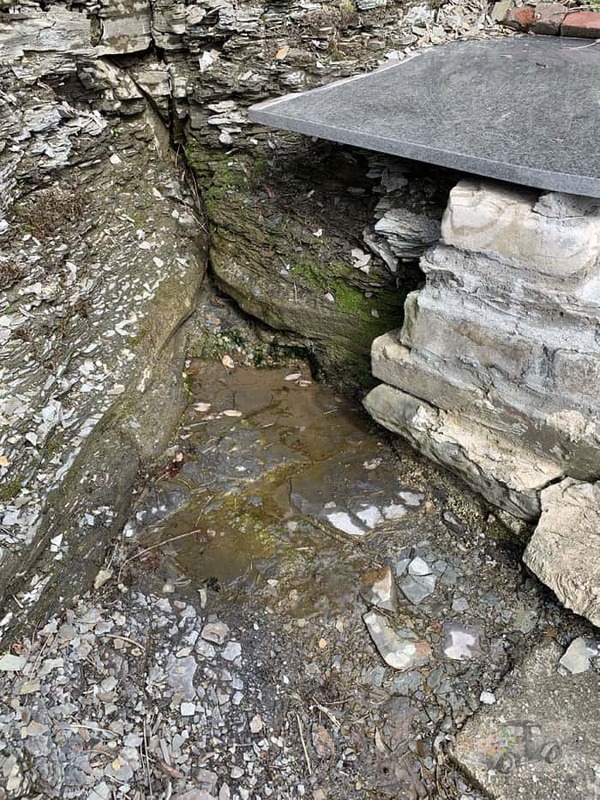 Another interesting story about the shrine site is the story surrounding a small spring on the site. The story goes that 30 years ago, more and more visitors were brining flowers to the site. Caretaker, Sophie McMurty, was looking for a way to water the flowers and prayed for an answer. This is when she saw something gleaming on the hillside. When she went to investigate she found a silver and pearl rosary, but even more importantly, she found a small spring coming out the hillside. Volunteers still use this spring to care for the flowers today. Some of the beauty of the Shrine of the Blessed Mother is the simplicity of it. The original shine consists of a two-foot sculpture of Mary surrounded by a brick grotto and adorned with flowers. Also in the garden are thirteen large crosses representing the stations of the cross. There is also a brick altar and crucifix since Mass is occasionally held at the site. There are kneelers and benches at the site to allow for some quiet reflection for those who visit. 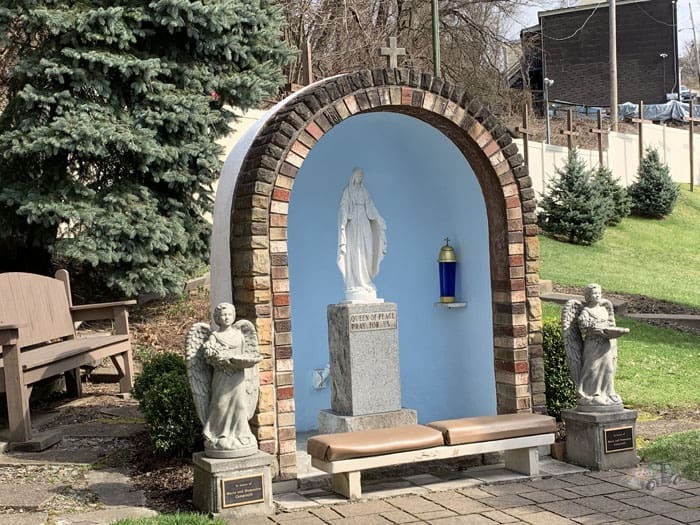 Due to her location, overlooking the Parkway East, the shrine has been given the nickname Our Lady of the Parkway. Even at night when you are driving the Parkway, it is possible to see the shrine thanks to several large lights that illuminate the site. 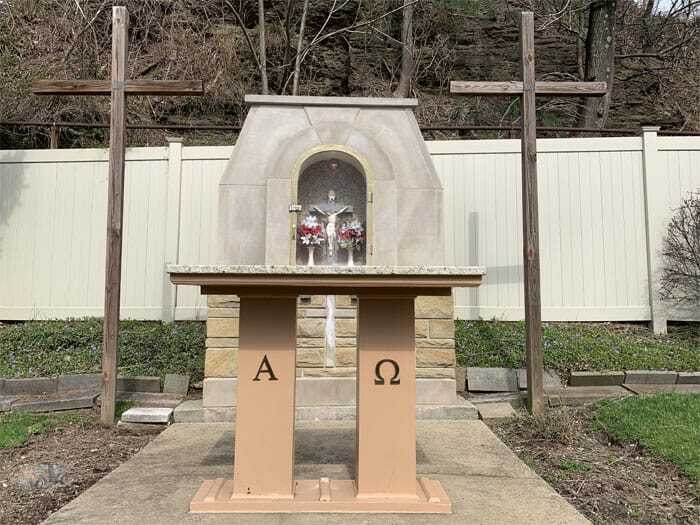 The Diocese of Pittsburgh and the Catholic Church doesn’t recognize the site but many faithful, and non-faithful alike, find solace in it. The site is open to all, has no admission, so if you happen to find yourself in Pittsburgh’s Oakland neighborhood this is a great little side stop! For more information about the site, including directions, check out the Roadside America article on it.